Perforate St John’s-wort or Common St John’s-wort as it is also known is a medium tall, hairless grassland perennial. 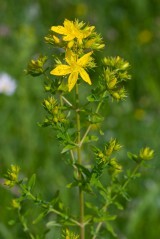 In common with most species of St John’s-wort it has golden yellow flowers with black dots along the edge of the petals. The leaves when held up to the light show many translucent dots hence the common name of perforate St John’s-wort. 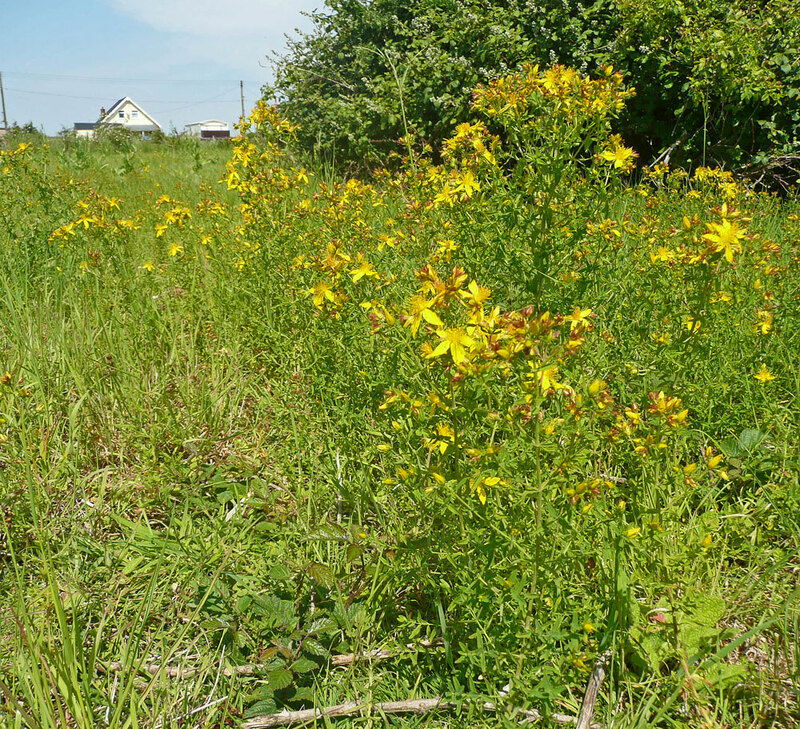 Perforate St John's-wort is most characteristic of relatively unproductive wasteland on free draining calcareous soils but can be found on a range of habitats including meadows, open woodland, hedge banks and roadside verges. It has a deep tap root which allows it continue to grow late into summer. Regeneration occurs both by vegetative means (axillary shoots and lateral roots) and by seed. A spring germinating seed best sown in autumn. 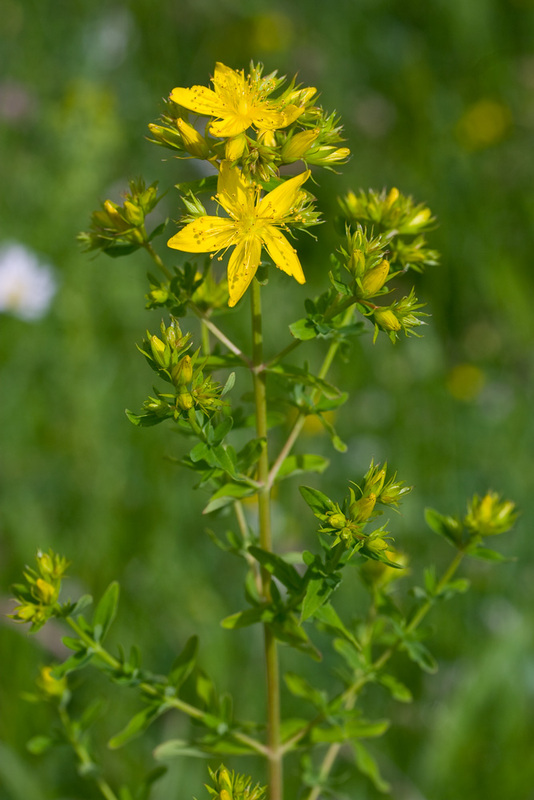 Perforate St John's-wort can be added to a meadow mixture but, as it contains a toxin activated by bright sunlight, is best avoided if the meadow is to be grazed by stock.